Administrative Law Judge Robert G. Martin, from the Office of Administrative Hearings (OAH), State of California, heard this matter in San Diego, California, on March 11, 12, and 13, 2013. Student was represented by his mother (Parent). Student was over 18 years of age at the time of hearing and Parent was his legal guardian and educational rights holder. Student did not attend the hearing. Attorney Len Garfinkel represented the California Department of Education (CDE), and was not accompanied by any other representative of CDE. Student filed a Request for Due Process Hearing (complaint) on March 22, 2012, and an Amended Complaint on December 10, 2012, on which date the matter was continued for good cause. At the conclusion of testimony, Student was granted an additional continuance to file written closing arguments by March 20, 2013. CDE did not request additional time to file a closing argument. Student did not submit any written closing arguments, and the record was closed and the matter was submitted on March 20, 2013. Whether the California School for the Deaf, Fremont (CSDF) denied Student a free appropriate public education (FAPE) by declining to assess Student in May, 2010. Whether the California School for the Blind (CSB) denied Student a FAPE by declining to assess Student in May, 2010. 1. Student was 20 years and nine months of age at the time of hearing. He was found eligible for special education and related services at age three under the categories of autistic-like behavior and moderate to severe mental retardation, now referred to as intellectual disability. 2. At the time of hearing, Student’s cognitive functioning was below pre-kindergarten level and he was nonverbal. His primary language was spoken English, supplemented by natural gestures and some simple signs. Student has never been conversant in American Sign Language (ASL), and did not appear to have the potential to learn ASL. Although he was able to vocalize, he was unable to say words or word approximations. 3. At all relevant times Student has had normal or near normal hearing. Other than farsightedness, for which he wore glasses, Student has had no visual impairment or blindness. 4. From 2010 until December 2012, Student resided within Plumas Unified School District (PUSD). 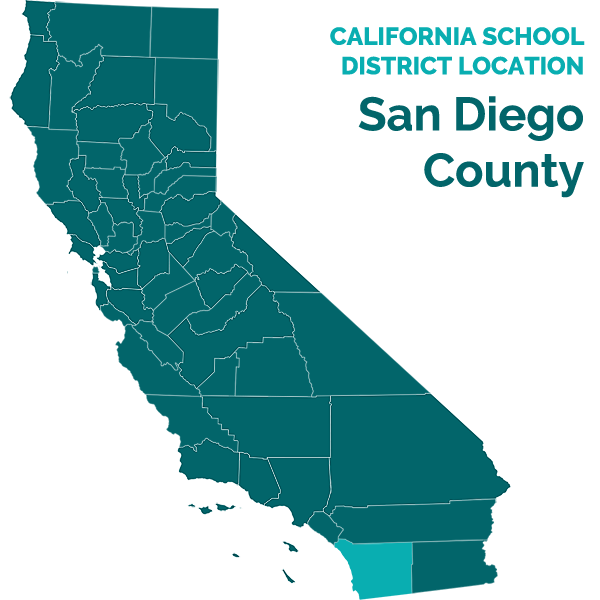 In December 2012, Parent and Student moved to the Poway Unified School District (Poway USD) in San Diego County, Student’s residence at the time of hearing. Neither PUSD, nor Poway USD is a party in this matter. 5. CSB, CSDF, and the California School for the Deaf, Riverside (CSDR) are state special schools operated by CDE. 6. On October 19, 2009, Student filed a due process hearing request against PUSD to commence OAH Case No. 2009100925. Student contended that PUSD had denied him a FAPE by refusing to change Student’s high school placement to another school within PUSD, and requested placement at CSDF as a remedy. PUSD contended that it had placed Student at the only high school within PUSD that offered special day classes and related services appropriate for Student. 1 At the time of the referral for further assessment, Student had previously undergone eight hearing assessments resulting in consistent findings that Student was neither deaf, nor hearing impaired, and four visual assessments resulting in consistent findings Student was neither blind nor visually impaired. Student had also unsuccessfully sought placement at CSDF, CSDR or CSB on five previous occasions, three times by referral by Student’s school district, and twice through a due process hearing request that sought such placement as a remedy. On each occasion, placement had been rejected with a finding that Student was not eligible for the requested placement. 8. The settlement agreement provided Student the following special education program, placement and services: placement at Quincy High School in a special day class, with Student mainstreaming in the general education setting for nutrition, lunch, and two periods of electives; transportation; a one-to-one aide; 4690 minutes of specialized instruction monthly; 20 minutes of adaptive physical education monthly, 120 minutes of occupational therapy monthly, 60 minutes of low incidence services monthly, and 240 minutes of speech and language services monthly; and maintenance of goals from Student’s last agreed-upon IEP from October 2008. 9. According to the settlement agreement, Parent selected the above program, placement and services for Student in lieu of PUSD’s offer of FAPE, and assumed the risk of any lack of anticipated progress that Student might make under the program, placement and services selected by Parent. 10. Student did not present any evidence at hearing that Student’s special education program, placement and services negotiated by Parent in the January 6, 2010 settlement with PUSD did not constitute a FAPE. 11. Following the settlement, Student attended Quincy High School from January 2010 to May 13, 2010. On May 13, 2010, Student stopped attending classes, and as of the dates of hearing had not attended school since. 12. On May 26, 2010, CSDF declined PUSD’s referral of Student for further assessment. Student’s referral for further assessment by CSDF was reviewed by CSDF’s Northern California Assessment Center, a center located on the CSDF campus that supports school districts by providing assessments of deaf and hard of hearing students who are not attending CSDF. Lisa Viall was CSDF’s Supervisor of Admissions and Assessment Services and reviewed Student’s referral. Ms. Viall holds a master of arts degree in the education of, and communication with, Handicapped Students, with a focus on deaf students. She holds a multiple subjects teaching credential and a specialist instruction credential in Special Education. Ms. Viall had worked at CSDF for 35 years, was fluent in ASL, and was a teacher of deaf students for 10 years. She was CSDFs Coordinator of Admissions from 2000 until 2010, when she became Supervisor of Admission Assessment Services. 13. Ms. Viall persuasively explained that PUSD’s referral of Student to CSDF for further assessment was not an appropriate referral from CSDF’s perspective because there was no information in Student’s assessment referral package that indicated that Student had a suspected hearing impairment that would qualify him for CSDF assessment services. Ms. Viall concluded that all prior testing had indicated that sounds were transmitted normally from Student’s ears to his brain through Student’s hearing mechanisms. Prior tympanograms had found that Student’s eardrum mobility was normal in both ears. Prior otoacoustic emissions (OAE) screenings, and audiological brainstem evoked response tests (ABRs) had found that, when test sounds were played into each of Student’s ears, the nerves in Student’s auditory brainstem pathways transmitted the signal to his brain in normal fashion, indicating that Student had no neurological abnormalities that affected his hearing. The failure of Student to give a reliable behavioral response to sounds played into his ears was more likely than not due to Student’s autism or intellectual disability, rather than to any hearing impairment. Ms. Viall plausibly explained that, although the CSDF’s May 26, 2010 letter declining to provide Student a further assessment and recommendations had indicated that CSDF was declining to do so because California Diagnostic Center Southern California (CDCNC) had assessed him in the same areas in 2009 and re-assessments were limited by budget constraints, CSDF would have provided Student a further assessment if his application packet had contained any information indicating that Student might have a hearing impairment. 14. On June 1, 2010, CSB declined PUSD’s referral of Student for further assessment. CSB’s Director of Curriculum, Assessment and Staff Development, Sharon Sacks, was responsible for reviewing the assessment application. Dr. Sacks obtained a master’s degree in special education of the Visually Handicapped in 1973 and a Ph.D. in special education in 1986. She holds a life teaching credential for teaching children with visual impairments and a clear credential in education administration. As a Professor at San Jose State University, San Francisco State University, and California State University, Los Angeles, from 1989 to 2005, Dr. Sacks taught numerous courses in special education, including courses in Braille, Assessments and Curriculum for Students with Low Incidence Disabilities, and Educating Students with Mild, Moderate, and Severe Disabilities. Dr. Sacks was an Assistant Superintendent at CSB from 1998 to 2005 before taking her current position. 15. Dr. Sacks reviewed the following vision evaluations of Student that were included in his application: a July 2006 vision test report of Dr. Carl Hillier, an August 2007 vision test report of Dr. Gregory Hayes, the Learning Media Assessment form submitted by PUSD with Student’s application for assessment, and a May 2009 vision test report of Dr. Deborah Orel-Bixler, Ph.D., O.D., at the Special Visual Assessment Clinic at the University of California, Berkeley, a clinic specializing in the assessment of special needs children. CSB also considered an April 2009, CDCNC Assessment Report of Student, as well as Parent and PUSD referral questions, summarized in a File Information Worksheet maintained by CSB. Dr. Sacks persuasively explained that, to qualify as visually impaired for special education purposes, Student would have to have eyesight, using corrective lenses, of 20/200 or worse for legal blindness, or 20/70 or worse for partially sighted. Dr. Hillier’s report indicated that Student’s corrected eyesight was 20/30, which Dr. Sacks characterized as “not even close” to the thresholds for partially sighted or legally blind. She considered that the Learning Media Assessment form, on the entry for “Cause of Visual Impairment,” had indicated that Student had no visual impairment, but only a need for glasses. The Learning Media Assessment form indicated that Student’s primary medium for learning was visual (print) and his secondary medium was auditory. The form also indicated that Student was visual and could see 24-point font, and responded normally to sound and directions. In Dr. Sacks’s opinion based upon having worked with her, Dr. Orel-Bixler, had specific expertise in working with non-verbal students with multiple disabilities. In Dr. Sacks’ credible opinion, Dr. Orel-Bixler’s examination was comprehensive and contained a number of useful recommendations for helping Student maintain attention to visual tasks, such as having him learn to make reliable choices between objects by simultaneously looking at and touching the objects. Dr. Sacks further opined that nothing in Dr. Orel-Bixler’s report indicated that Student qualified as visually impaired. 16. Based on its review of Student’s application, CSB concluded that there was no basis for suspecting that Student had a visual impairment. CSB also concluded that the information that Parent and PUSD wanted to obtain from an assessment, such as a “universal design” for Student’s special education, and a “definite answer” for Student’s appropriate placement, had been addressed in Student’s recent 2009 CDCNC assessment. 17. In May 2012, PUSD assessed Student in Speech and Language, Occupational Therapy, Intellectual Development, Academic Achievement, Hearing, Vision, Learning Media, Health and Development. The May 16, 2012 hearing assessment, by Low Incidence Program Specialist Lynne Koeller, included a review of prior audiological evaluations, including that of Angela Batini, M.S., CCC-A in June 2009, and of Crystal Chalmers, Au.D., in September 2009. Dr. Chalmers found that Student responded to narrow band noise and music, and who concluded, “[r]esponses obtained today from [Student] are consistent with previous assessment results obtained over the past 16 years. A review of previous assessments reveals progression of auditory awareness as he ages.” The PUSD assessment also included the observations of 11 teachers or therapists who had observed Student in February 2010 or on May 4, 2012. Each reported that Student responded to sounds, or spoken instructions or questions. For example, PUSD Communication Assistant Michelle Edwards reported, “Consistently in the cafeteria, I will say ‘come here [Student]’ when his back is turned and he responds appropriately, turning around and listening and following the next direction, even when there are others in there with noise going on.” Ms. Koeller concluded, “[Student] is not Deaf or Hard of Hearing,” and that no hearing accommodations or modifications were necessary. 18. The May 16, 2012 PUSD vision assessment by Ms. Koeller included a review of the May 2009 report of Dr. Orel-Bixler, discussed above. It also included May 4, 2012 observations of Student by Ms. Koeller, two special day class teachers, a speech and language therapist, and an occupational therapist. Each reported that Student was able to see, and several specifically noted his ability to select small objects. For example, occupational therapist Susan Van Druff observed Student scanning a variety of objects on the table in front of him and selecting and picking up the object he wanted to play with. Ms. Koeller observed Student looking at a piece of paper with four names printed in 24 point font, each spaced three inches apart. When Student was asked which one was his name, he pointed to one of the names. It was not his name, but his actions indicated that Student heard the verbal direction and saw the print clearly enough to point to a printed word in 24 point font. Ms. Koeller concluded that Student was not blind or visually impaired, and her report adopted the recommendations from Dr. Orel-Bixler’s May 2009 report: that Student wear his prescription lenses full time, be given text in 24 point font, and be taught to make reliable choices between two real objects that eventually might be replaced by icons or pictures. 19. On May 24, 2012, audiologist Deborah Touchette assessed Student’s hearing. As in prior hearing tests, the audiologist could not obtain reliable results from tests that relied on Student’s behavioral responses, but other measurements that did not rely on such responses, such as otoacoustic emissions (OAE) testing, found normal function with no more than a mild hearing loss. 21. In May 2012, CSDF began an assessment of Student for possible placement at CSDF, which it completed on November 9, 2012. This CSDF assessment was based on the information obtained from: (1) Student’s application form completed by Parent; (2) three audiological reports submitted with Student’s application (Dr. Touchette’s May 2012 report, Dr. Batini’s September 2009 report, and Dr. Chalmer’s June 2009 report); (3) three vision reports submitted with Student’s application (Dr. Orel-Bixler’s May 2009 and June 2012 reports, and Dr. Hayes’ August 2007 report); (4) PUSD’s May 2012 assessments of Student; (5) CDCNC’s April 2009 comprehensive evaluation, and a comprehensive evaluation of Student by the California Diagnostic Center, Southern California (CDCSC) in April 2003; (6) Student’s UC Davis medical records; (7) Student’s 2007-2012 IEPs; and (8) observation of Student at CSDF on October 18 and 19, 2012. 22. CDCNC’s April 2009 assessment of Student, and were consistent with all previous assessments of Student going back at least to CDCSC’s comprehensive assessment of Student in April 2003. Ms. Viall and CDSF Clinician and Neuropsychologist Ann Moxley, Ph.D. prepared the report. Ms. Viall reviewed all of the reports submitted with Student’s application, and traveled with Dr. Moxley to observe Student in a classroom setting at PUSD. Ms. Viall found nothing in the reports submitted with Student’s application that indicated that Student had a suspected hearing or vision impairment. Observing Student, they found that he responded consistently to auditory/oral commands, even when staff spoke to him quietly. He followed simple directions repeatedly and shook his head “no” when asked if he wanted to go for a walk. Student vocalized often but used no words. He exhibited escape behavior, exiting the classroom at least 10 times in 75 minutes. He enjoyed tactile stimulation, such as running beans, pegs and foam letters through his hands. Although he responded to adults, he showed no interest in other students. His attention to tasks was limited and required redirection. Classroom activities were accomplished with two-on-one assistance from his teacher and his aide. Student used approximations for the ASL signs for “please” when he wanted to leave the classroom; fist shaking to indicate “toilet,” “yes”,” and “now,” according to Parent; a “bicycle” hand movement for “run” or “go.” When taught in ASL, Student did not attend to the teacher. His aide repeated the signs and led Student through a production of the signs in a hand over hand manner but Student did not attempt to copy the signs on his own. 23. The November 2012 CSDF assessment report did not find Student eligible for placement at CSDF. The report found that Student was eligible for special education based on autistic-like behaviors, and would also qualify as intellectually disabled, with current developmental levels appearing to fall within an age equivalent range of two to six years. He demonstrated significant cognitive and adaptive skill delays, as well as delayed language/communication and academic skills. He did not appear to have the potential to learn ASL, the means of communication used at CSDF, as his primary mode of communication to access instruction. Student’s audiology evaluations, PUSD staff comments, and behavioral observations all indicated that Student responded to verbal directions and had, at worst, a mild hearing loss that would not qualify Student as deaf or suffering from a severe hearing loss. With his vision corrected by glasses, he was not visually impaired. The assessment included the following recommendations: (1) Student required a self-contained special education class that provided a curriculum at his current levels of significantly delayed cognitive, language, academic, and adaptive functioning; (2) Student required a multi-modal communication system incorporating assistive technology as appropriate; (3) Student learned best with activities that are hands-on, meaningful and in context; (4) Instruction should occur both inside the classroom and in the community; (5) Parent was encouraged to pursue the services of the local Regional Center for advocacy, behavioral support services and transition services; and (6) Student’s program focus should be on functional and vocational skills. The November 2012 CSDF assessment reached essentially the same conclusions as those reached ten years before in the comprehensive assessment by CDCSC in February 2003 and four years before in a comprehensive assessment by CDCNC in April 2009. 24. Student offered expert testimony and a report from dyslexia specialist Debbie Lundquist as evidence that Student was deaf and had a visual impairment. 25. Ms. Lundquist was the Literary Assistant for Plumas County Literacy – Chester Branch. She is a high school graduate, attended but did not complete college, and has taken several courses in diagnosing and treating dyslexia, including a graduate level course, “Diagnosing Dyslexia,” at the University of San Diego. On July 29, 2010, at Parent’s request, Ms. Debbie Lundquist attempted to assess Student for possible dyslexia. Her report of the same date stated that Ms. Lundquist found it impossible to assess Student for dyslexia because “all the answers to my questions and all of the tests used to determine dyslexia depend on oral and written language from [Student], and require that he be able to hear me, it is unfortunately impossible for me to diagnose whether or not [Student] has dyslexia.” Ms. Lundquist’s report stated, “[Student] has no oral language because he cannot hear.” It also stated that Student could not see well. Ms. Lundquist recommended that Student be placed in a school for the deaf. 26. Regarding the basis for her conclusion that Student could not hear, Ms. Lundquist testified candidly, “I really don’t know about deafness,” but said that, in a book about dyslexia, she had read a quote from linguists Noam Chomsky and Steven Pinker that language is innate and virtually all humans speak except those who have a rare medical condition such as profound deafness from birth. Also, Ms. Lundquist had observed on several occasions that Student did not respond to sounds such as people speaking to him, or to a loud printer in her office that she described as making a sound similar in volume and pitch to a large dog barking. Ms. Lundquist admitted that her conclusion that Student was deaf was a guess based solely on her observations, and was not based on any professional knowledge or education. She admitted that she did not know the definition in special education law of a hearing impairment. Ms. Lundquist also admitted that she did not know whether Student’s failure to respond to sounds was a result of his autism or cognitive limitations rather than deafness. Based on Ms. Lundquist’s admitted lack of expertise regarding deafness, and her acknowledgment that her conclusion was a guess based on her personal observation, Ms. Lundquist’s conclusion that Student could not hear and should be placed in a school for the deaf was not persuasive or credible, and was given no weight. 27. Regarding the basis for her conclusion that Student could not see well, Ms. Lundquist again testified candidly, admitting, “I don’t know anything about vision,” but that she had observed that Student responded best to her hand signals when he was about six feet away, responding less reliably when he was closer or further away than six feet. Ms. Lundquist admitted that she did not know the definition in special education law of a vision impairment. Ms. Lundquist’s conclusion that Student cannot see well, based on her personal, non-expert observations, was not persuasive or credible, and was given no weight. 28. Parent is devoted to her son, and tenacious in her pursuit of what she perceived as his best interest, obtaining an assessment concluding that Student is deaf and/or blind, and placement at a school for the deaf or school for the blind. However, Parent admitted that Student is neither blind nor deaf. She believed that he had problems seeing in the center of his visual field because of eye convergence issues and therefore relies on his peripheral vision. After seeking and obtaining a number of vision therapy sessions for Student, Parent declined IEP offers of additional vision therapy that might address the convergence issue, because the vision therapy sessions that Student attended relied on language, which Student lacks. Parent believed that Student had trouble understanding words that he heard, and attributed this to a physiological problem with the auditory pathway between his ears and his brain, rather than a problem with his ability to process sounds that were transmitted to his brain. However, none of Student’s numerous hearing assessments support this view, and the preponderance of the evidence indicated that Student’s frequent lack of response to sounds was related to his autism or intellectual disability, and not to any physiological problem with his auditory pathway. 1. Student contends that he was denied a FAPE because CDE, as the operator of CSDF and CSB, declined to conduct further assessments of Student for admission to CSDF (Issue One) and CSB (Issue Two) in May of 2010. As a remedy, Student requests placement at a school for the deaf, preferably the Model Secondary School for the Deaf in Washington, D.C. As discussed below, Student did not meet his burden of proving by a preponderance of the evidence that CSDF or CSB was required to assess Student in May 2010. Alternatively, even if CSDF or CSB had been required to assess Student, Parent did not prove that the failure to assess resulted in a denial of Parent’s right to participate in the decision-making process or a denial of a FAPE. 10. Under the IDEA, an SEA such as CDE is responsible for “general supervision” of state special education programs to ensure, among other things, that IDEA requirements are met. (20 U.S.C. § 1400(d)(11)(A).) However, CDE generally is not a party in a due process proceeding because a LEA – a school district or county office of education – not the CDE, is in most instances the public agency that is responsible for providing special education services, and “involved in any decisions regarding [the] pupil.” (Ed. Code, § 56501, subd. (a).) One exception to this general rule exists with respect to state special schools such as CSDF, CSDR and CSB, which are operated by CDE. (Ed. Code, §§ 59002 & 59102.) CDE is the responsible public agency in a due process hearing involving a student attending one of these schools. 16. All references are to the 2006 Code of Federal Regulations. Pursuant to California Education Code section 56507, subdivision (d), the hearing decision must indicate the extent to which each party has prevailed on each issue heard and decided. CDE prevailed on all issues.